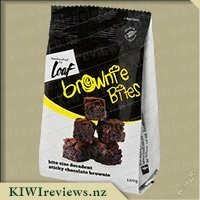 We love chocolate brownie but it is something we only really have as a treat so we were excited to receive a packet of these in our KIWIreviews parcel. I had tried the rocky road and the caramel slice bites in a previous review cycle and was very impressed so was excited to try these. We are a family of four so the packet went in one sitting but for $3 thats not all that bad. 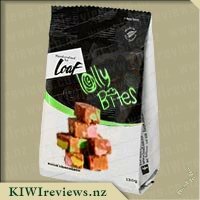 I think they are definitely good value for money and if you were wanting a treat it would be a nice alternative to a block of chocolate or a bag of lollies for the same price. The brownie is in bite sized pieces and you get about 6-8 pieces in a pack. I thought the pieces were a good size as brownie can be quite rich so you don&apos;t want to have to big a piece. My hubby would of loved bigger portions. I thought the portion size is perfect for the kids lunches so they can have a sweet treat without it being too big. They are definitely a snack sized piece rather than a dessert sized slice. Of the three varieties I tried these were my least favorite as I thought they were a bit dry and didn&apos;t have the chew I like with a good brownie. 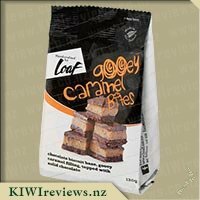 However I would buy them again so it wasn&apos;t too bad a taste just not the best brownie I have ever tried or the best of the Loaf range. We LOVE Brownies here! There is not a single member of my family that is not addicted to the gooey, yummy, chocolaty brownie. My teenage son has his own brownie recipe he created and makes. My other son loves white chocolate brownie. Hubby who is not a big fan of desserts and sweet treats loves classic chocolate brownie. So, as you can imagine, we were very excited to receive a packet of these in our review parcel, as the other products in this range have been a bit hit. The packets are a good size, not really something you would buy to share with a group of people, unless you all only wanted one piece, and there was no more than 7 of you lol. But they are a great size for one person to snack on over a couple days, or perfect for a romantic picnic for two Easy to open bags that are made to keep them nice and fresh inside too. And a really great price for what they are. Brownies are one of my favorite things to make for the kids as a treat, i&apos;m not so much a huge fan but thought that these would give me a day off baking and to fill those little tummys. But sadly I think we are the only people ever! To not enjoy these - perhaps I have spoiled us rotten with home baking - that these just did not quite fit the bill. In saying that they weren&apos;t omg yuck! throw that away, we just found them a little bit dry and lacking in flavour. We decided to use the remaining 5 to mix into a sort of berry sundae with layers of broken up brownie, stewed berries and ice cream. the kids demolished them without any hesitation but I don&apos;t think they would be something I purchase again for them. What I do love about the product is the size, It would be perfect as a treat as there are only 6 in a packet so you can&apos;t over indulge yourself and would also be nice to add into a gift basket for a friend as they are very affordable at $3.00 a packet and something a bit different than the average block of chocolate. I personally wouldn&apos;t buy these again but I look forward to trying out future products from loaf. I have always been a big fan of brownies and when I am out for coffee and a treat, brownies is usually my treat of choice. 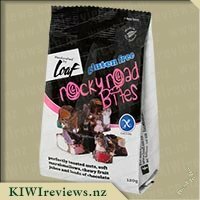 After trying the Loaf rocky roads bites I was very excited to have the chance to review the brownie ones as well. The thing I love about Loaf bites is the fact they are the perfect size for an after lunch or late afternoon treat. My review parcel arrived when I was at work so when I arrived home I made a coffee and sat down to open it. Discovering there was brownie bites in it there was only one thing I could do, taste them straight away of course. Ripping the bag open the smell of chocolate hit me and I couldn&apos;t wait to tuck in. From first bite I was in love it was everything a good brownie should be rich, moist and melt in your mouth. My husband arrived home not long after and I offered him the bag to try one he was sold as well. As we sat chatting about our days our hands kept wandering and before we knew it the bag was gone. Since then I have already bought them again to stash at work for those days when you just need a treat. I have also brought them to be part of a high tea they are the perfect size to go on a platter with other sweet treats. At $3 (often less on special) it&apos;s hard not to throw a bag into the trolley every time your in the supermarket they are just that tasty. I don&apos;t usually eat brownies, I haven&apos;t had good experiences when it comes to finding the much praised taste and texture of such a treat. But this doesn&apos;t mean that all my let downs so far stop me from wanting to find a delish brownie and it would seem that I have finally found the pot of gold at the end of the rainbow in the realm of brownies. I was concerned about the sizing and that you only get six pieces in a bag, however I need not have worried as one piece is the perfect sizes treat, even the kids were happy to settle with one as their full dessert. I was a little concerned when the ingredients listed &apos;dark compound&apos; as I took that to mean dark chocolate, which I&apos;m not a fan of, but though these brownies have a slight tinge of dark chocolate to them, it wasn&apos;t strong and I would happily eat more of these. I think it&apos;s great that the allergens are not only listed but there also written nice and big (so it caught my eyes before anything else on the back did), so therefore making it so much easier for those who need to keep an eye on such things. These brownie bites were a great treat, perfect with my cup of coffee and I know I will pick some of these up again. I must admit one of my favourite slices is chocolate brownie so I was very excited to try these brownie bites from Loaf especially after sampling and reviewing their fantastic Rocky Road bites. But unfortunately I was a tad disappointed. Firstly let me say I love the concept of having a guilty pleasure available in bite form as they can be easily placed in school lunches or eaten after a meal as a wee treat. However while I thought the taste of the brownie was quite good with a good amount of chocolate chips throughout the mix, I found the bites to be a bit dry and almost crunchy, not like a decadent, smooth or melt in my mouth brownie I have come to know and love. Some people drink, some people smoke where as I do chocolate. Whenever I am stressed, sad, depressed or just hungry the first thing I reach for is chocolate. A life time ago while working for Princess Cruises on the pursers desk I had a drawer full of the rich creamy brown stuff and it got to the point where even the captain of the ship would come down and demand I open the drawer so he could take his pick. Now it is very rare when I am upset that I do not want that magical stuff, but as my nana is in hospital and it is a very dangerous situation I have lost my appetite and not been wanting much. In walked Loaf. I put in the fridge once receiving my allocation and walked away. Today opening up the fridge the yellow writing drew my attention and next minute I found the packet was in my hand. I saw the instructions to tear here so that is what I did. Carefully I reached in to the packet and pulled a little brown square out and smelt it and it smelt devine. Images of mums cooking flooding back to me. I sat on the couch reading the packet and next minute I found there were none left. Somehow I had eaten the whole packet without realising it. Biggest complaint there are not enough and on a personal note it would of been nice with a chocolate icing coating. But they are great and just the amount I required today before heading back to the hospital. Thank you Loaf I will be buying more of you in the furture. And now introducing my favourite of the decadent Loaf Bites range: Brownie Bites. 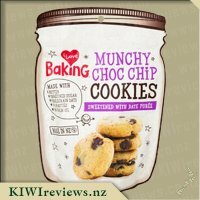 As an avid sweet tooth who enjoys trying new products (especially New Zealand made) I was overjoyed when these bites made their way into our home via KIWIreviews. At the first bite I was hooked, and I mean HOOKED. Each &apos;bite&apos; is larger than your average bite size, they are easily two bites per piece, and there are six pieces to a packet - which are a modest amount allowing for easier control over sweet treats. These chocolate brownie bites are the most heavenly, rich but not overpowering, dreamy pieces of utter chocolate bliss. The texture is not too cakey, slightly crumbly and remains soft and easy to eat. I won&apos;t be sharing these around too often, they&apos;re just simply too good to share! The packaging artwork is minimalistic and elegant with an instantly recognisable presence on the supermarket shelf, and the bag is foil lined for extra freshness. The shelf life on the bites is just over two months - which is not very long, however when bought they&apos;ll typically be consumed within a very short time frame. The packaging describes the bites as &apos;bite size decadent sticky chocolate brownie&apos; however I didn&apos;t find them to be overly sticky - the brownie bites themselves stick together without leaving much of a residue on your fingers. Great for the car, office, an afternoon treat, or anytime you feel like a decadent chocolate brownie. Loaf has produced yet another great product that gives you a professional product with the perfect balance of a home baked feel. Highly recommend. 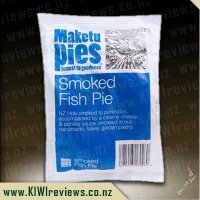 Ohhhhhhhh yum, I am so glad that these tasty little morsels somehow managed to make there way into my supermarket trolley this afternoon, although with them being on special for $2.49 it&apos;s a real shame it seems that I only got 1 bag of them. I have always loved a good chocolate brownie, although let&apos;s face it finding one that tastes really good is not as much of a easy task as you would think it would be. Opening the pack I counted the brownie bites, my pack contained 8 pieces all in a similar size, with a couple of the pieces being stuck together, luckily these were very easy to separate. The bites were very deep in colour and looked very chocolaty, they had an almost sparkly appearance to them I thought, which came from the sugar crystals that formed the outer crust of the brownies. They smelt of rich dark chocolate and I couldn&apos;t wait to try one, luckily for me at the time I opened the packet Miss 3 had gone to bed and my partner was working which meant that if these tasted as good as they looked and smelt I wouldn&apos;t have to share, but rather find a good place to hide them in instead! From the very first bite I knew that these were one of the best chocolate brownies I had ever tasted, they had everything going for them, they were rich and gooey with a somewhat fudge like texture to them and taste very chocolaty with real chunks of chocolate throughout, and best of all they weren&apos;t overly sweet. I have to say that I don&apos;t think I will bother to bake chocolate brownie myself any more as these ones are just so amazing and cheap enough to buy, I&apos;m sure a pack of these will last me 3 to 4 days as they are so rich that I couldn&apos;t eat more than 2 in a sitting. One word can describe this entire product: YUM! I have always been a fan of chocolate brownies, whether they&apos;re the ones you get from Domino&apos;s or the cookies we all know and love. These bites were more like the brownies I&apos;m used to, and they were very lovely, a huge improvement over the Rocky Road bites I tried from this same brand. The brownies were very rich in flavour, and they also had a good amount of moisture too, which is always something I enjoy. 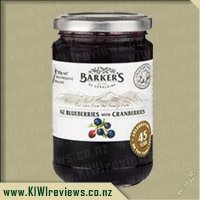 The product had a very pleasant sweetness, it wasn&apos;t too bland nor was it over-sweet, this stuff was very addictive, so it came as no surprise to me that I went through the whole bag in next to no time at all. 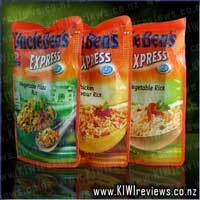 I would say that the overall quality of the product was pleasing, this was far from being a cheap recipe. 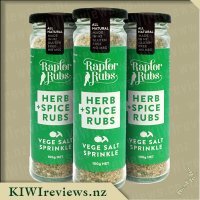 The bites were quite visually appealing, they looked quite delicious and this led to the addictive nature of this product! The portion size was a bit small, I do think they could have packed a few more bites into this bag, so I would say that the price didn&apos;t seamlessly fit the value of the product, but it was still a reasonably good fit. Regardless of this, I would still take great pleasure in tracking down more of these things and maybe taking them into the movie theater as a snack, I know you&apos;re not supposed to bring 3rd party snacks into the cinemas, but they rip you off with the theater snacks as it is, so it serves them right. 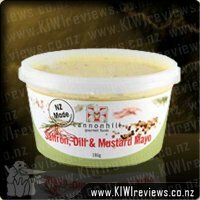 Overall, I think that this is a very tasty product, one well worth me trying, so I will be trying to find more of these in the future. 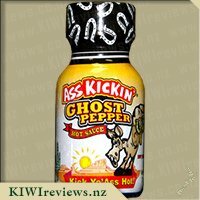 As if I haven&apos;t already implied it several times already, I would HIGHLY recommend this product to everyone, I assure you that you won&apos;t be disappointed! YUM! Yum yum yum, yum rich yum. Yum yum moist, yum yum yum. Yum... yum, yum, yumyum melt in your mouth yum, yum yum drool yum yum. YUM! OMG! How long have I waited for these and just not known it? I don&apos;t know. But now that I have come across these I suspect they will now be my go-to "sneaky naughty treat". The bag is priced well and you get 6x 20g "bites" per bag... which is just NOT ENOUGH! Knowing a close friend was coming to visit, I made sure not to open the bag until she had arrived. After trying the first bite of the first "bite", a tiny selfish little voice inside of me started screaming for me to grab the bag and run away, scoffing as I ran. Which is a wee bit odd, as I am not a huge fan of Brownie cake/slice/whatever. In my experience they tend to be quite dry and in some cases even a little bitter. This was like the anti-Brownie for me... rich, moist, flavoursome and melt-in-your-mouth amazing... I think I even whimpered a wee bit. Quietly of course, can&apos;t lose my cool in company over a bit of cake, after all. 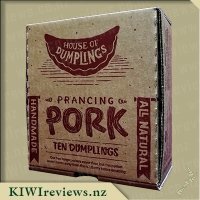 Of course, when I heard her make the same noise and caught her eyeing up the bag and possible escape routes, we both had a good laugh and relaxed, to enjoy another 2 "bites" each in amused silence, broken only by quiet groans of pleasure as we savoured every last molecule of flavour we could. Overall, if Loaf ever put these out in 500g or 1kg bags... I strongly suggest you not get between me and the shelves. Especially if I have gift cards in hand or these are on special. You have been warned! MINE! These sweet treats come in a pack of six but, as is the case with all those in the range, the pieces are slightly different sizes and, because they are quite large, they can be cut in half for sharing - especially for little ones. The half-sizes are around the same size as a regular lolly. They melt in your mouth and make a delicious alternative to a conventional dessert. My tasters were four adults and two children (aged four and six). The children loved them, although the soft, crumbly texture meant that they were giving us their somewhat muffled opinions through mouths full of chocolate. Miss Four actually commented that she liked the fact that they were sticky, and it was even worth having to wash her hands and face afterwards! Mr Six was so busy concentrating on enjoying his share that his comment was quite inaudible but the expression on his face said it all. The adults appreciated the rich dark chocolate flavour, the density of the filling, and the soft inner texture with its slightly crunchy outside. One person commented that they would be wicked served warm with cream. Maybe next time! They also liked that fact that they had a home-made feel about them and were pleasantly filling without being stodgy. Despite the richness of the product (the packet assures the consumer that it is "decadent"), it is not particularly bad for you if it is eaten in small quantities for an occasional treat. One piece has around 400kj which is roughly the same as a medium banana. Life is too short for people to eat "healthy" food all the time, and most of my family and friends do this. But everyone needs a special treat now and then! 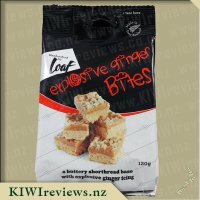 Having tried another variety of the Loaf bites I bought a packet of the brownie bites before I had tried my review packet. My family didn&apos;t know I had a second packet so that night when hubby was out and the kids were in bed I ate the whole packet. Yes I know it is a treat food but it was only 120g of yumminess. It is probably the equivalent of one slice from the bakery but in 6 bite size pieces. It is just as a perfect brownie should be with the crispy top, chewy centre and chocolate chips throughout. It is a quality product. 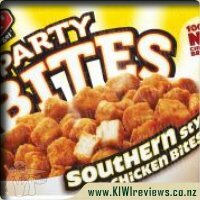 My family enjoyed the other packet of bites as much as I did. My girls (7.5 and 6) were very quick to get ready for bed so they could have one. There were tears when one thought they were going to miss out. I surveyed the family and asked them what they thought and all loved it and the kids request I buy more. Today I was in the supermarket with Miss 7.5 and she saw the brownie bites and begged for me to buy them. I didn&apos;t let on that I would have bought them anyway. Only problem is now everyone knows I have a packet in the fridge so I can&apos;t eat it all myself. Ready-to-eat cookies in a bag. No nasties, no palm oil, no artificial flavours, no artificial colours, and no preservatives. Just good, wholesome, natural goodness. Wheat flour, butter, unrefined sugar, chocolate chips, cocoa butter, milk, oats, date puree, baking soda.